Premier Wynne: It is time to ensure fairness! 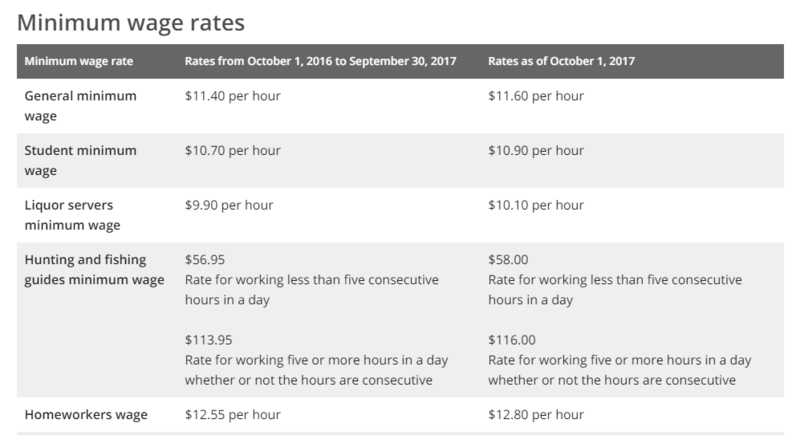 October 1 marked the 4th year that the Ontario minimum wage has been indexed to inflation. The minimum wage increased by 20¢, going from $11.40 to $11.60 an hour. The Workers’ Action Centre and our allies won this annual indexation in June 2014, along with a 75¢ increase in the minimum wage at that time. But we know this is still not enough to survive on. Sub-minimum wages still exist for workers such as students under 18 years of age, who now make a minimum of $10.90 per hour, and liquor servers, whose minimum is even less at $10.10 per hour. Over 1.7 million workers urgently need a $15 minimum wage, which the Ontario government plans to phase in by January 1, 2019 through Bill 148. Yet Bill 148 could also help low wage workers through its other provisions like Equal Pay and Fair Scheduling. Unfortunately, a number of loopholes make these new rights just words on paper. We need to let Premiere Wynne know right now that we expect her to eliminate the loopholes and fix Bill 148 before it becomes law. A $15 minimum wage cannot come soon enough. However, if the government doesn’t take steps to ensure decent hours, precarious workers are bound to continue facing poverty. Fixing the language of Bill 148 around Equal Pay is an easy way to help precarious workers who are on part-time, temp agency assignments—most of whom are female, immigrant, and racialized—from being paid at lower rates for doing work similar to their full-time, permanently hired co-workers. Workers should have the right to know we’re being paid the same as those who do comparable work, and to have our seniority recognized even if we are part-time or temp workers. Similarly, fair schedules will allow us to plan our lives better, and manage family responsibilities or a second job. 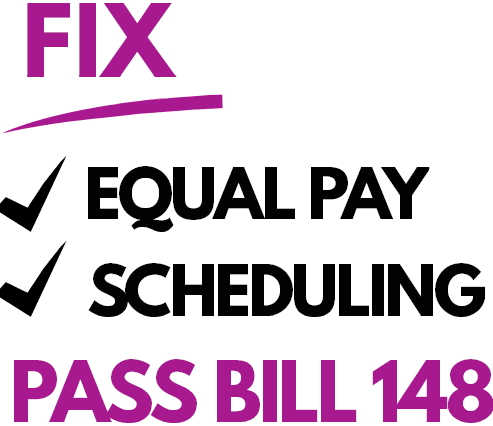 There’s not much time left to strengthen Bill 148 in the areas of Equal Pay, Fair Scheduling, and more. This Toronto Observer article explains just how crucial it is to continue the fight in this moment and as we move toward the 2018 provincial elections. One great way to contribute is to drop by the office of your Member of Provincial Parliament next week, any day from Tuesday to Friday. Bring along a few friends and neighbours to let your elected official know we expect them to fix and pass Bill 148 by delivering this letter. Make sure to take a picture outside your MPP’s office holding these new $15 & Fairness posters and post it on social media to show your support for a strengthened Bill 148. Please join in our efforts where you can, and help bring decent work to Ontario!